Ko Phi Phi: not as bad as they say! 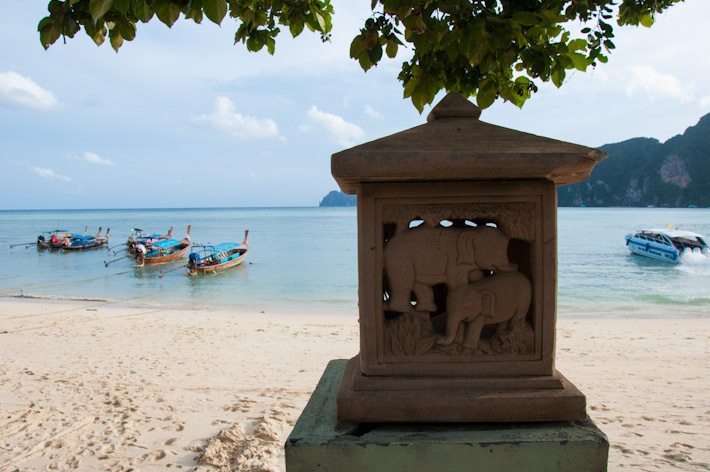 Thailand is paradise on earth for those looking to travel to tropical islands. 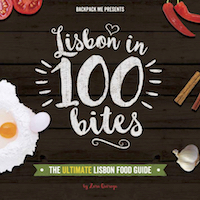 There are plenty of beautiful options and you can surely have a great time, whether you’re on a shoestring budget or in splurging mode. Some islands are more famous than others, but not necessarily because they stand out when it comes to natural beauty. It’s just that probably they have been the target of more infrastructure development and, above all, marketed as hot tourist destinations. 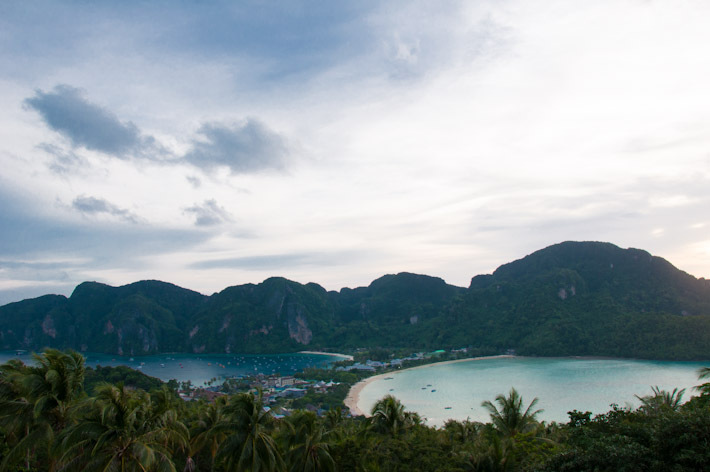 Ko Phi Phi (technically Ko Phi Phi Leh + Ko Phi Phi Don, the latter being where most of the action takes place and the former a destination for day trippers only) is one of those islands pumped by marketing, particularly geared towards the younger crowd. The fact that some of the scenes of the movie The Beach featuring Leonardo DiCaprio were shot here, made this once off-the-beaten path spot in the Andaman Sea a super popular destination, for both tourists visiting during day trips from Phuket and those wishing to stay for longer. 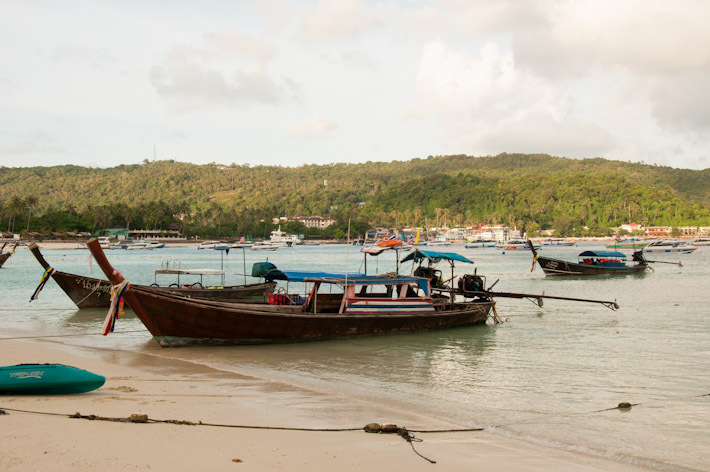 This article focuses on Ko Phi Phi Don (the inhabited island) as we will be covering day trips to Ko Phi Phi Leh and Maya Bay in an upcoming post. 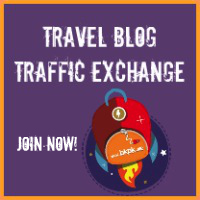 Before traveling to Ko Phi Phi I read a lot of info on other travel blogs – these made me have mixed feelings before going there. While some travelers were amazed by Phi Phi’s landscapes others mentioned how the island had lost its appeal due to the massive tourism it’s been receiving. Now, after spending over a week in the island, I think that both views have a point, but it’s still more than worth it going to Ko Phi Phi! It’s definitely not as bad as some say and the beauty of this place (independently of comparison with other Thai islands) is undeniable. But one thing is for sure: you must set your expectations right! 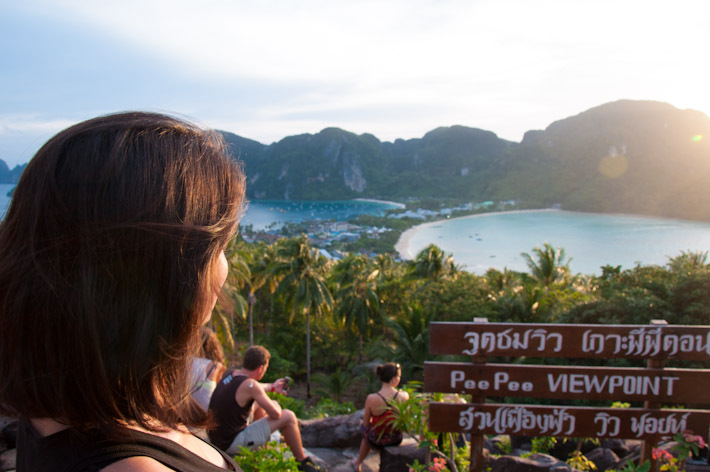 The popular Ko Phi Phi Viewpoint, where you get to appreciate how thin the sand strip where most action takes place in the island really is! I have read how some consider the once beautiful Ko Phi Phi now a spoilt place. That there has been way too much development for such a small island (even considering that most constructions had to be rebuilt after the 2004 tsunami that hit Ko Phi Phi hard and that there are no full roads and vehicles except from the odd moped) and even the waters are now polluted and smelly. There is certainly a lot of construction happening, but to be fair, this is mainly around the main strip, just outside the port. This is where most accommodation, restaurants and tour agents concentrate. There is still a world of jungle to be explored in the rest of the island if you’re up for it. I am not a fan of people who criticize the amount of boats that travel to Ko Phi Phi and therefore the pollution they create or how they “spoil” the otherwise deserted beaches. We are ALL using those boats to get to the island so, in order to enjoy this little bit of paradise (that we’re all as deserving to visit as the next person…), we are all contributing to this. Perfect situation to say that “we’re all in the same boat”. Also, in our experience, the water was neither polluted and certainly not smelly. We visited about a month before high season and it’s possible that things change during peak times of the year but, as a lover of travel during less busy seasons, I’d say this is just one more advantage of traveling during the cheapest time! 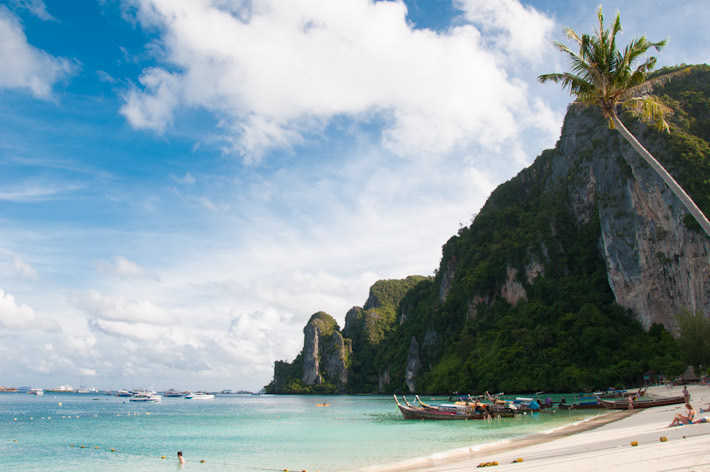 You have to keep in mind that, even with a stunning landscape, Ko Phi Phi won’t look postcard worthy everyday. Just like a super model won’t look smoking hot on a bad day, Ko Phi Phi’s waters won’t look bright blue or emerald on a less sunny day. If you spend several days around the island and the weather changes significantly, you’ll notice that the color of the water does so too. On sunny days it looks brighter and more transparent and when the sun is shy, the water will look more dull. That’s the same anywhere in the world. Tonsay Bay on a NOT so sunny day: same place but do you see the difference from the photo above? 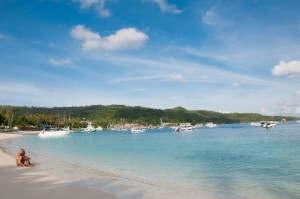 The number of people who visit the island every year is MASSIVE. 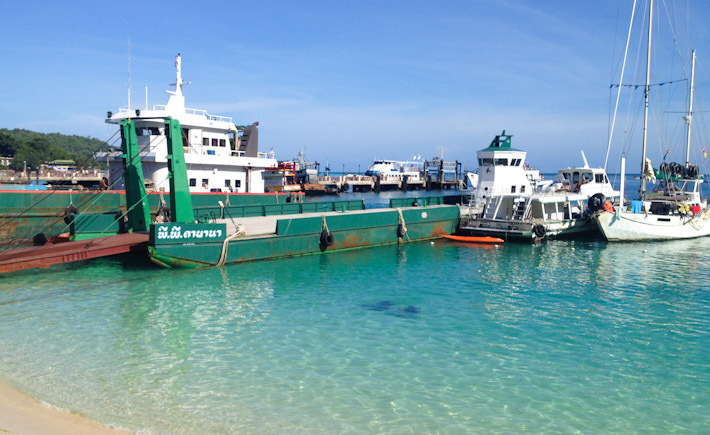 This is a source of criticism and understandably so as the island is supposed to be surrounded by a marine reserve and the sustainability measures in place seem to be questionable. As a short term visitor, you’ll notice that most of the crowds concentrate along the main strip of Tonsai and that I feel is the Ko Phi Phi equivalent to the famous backpacker’s Kao San Road in Bangkok. If you’re not into “tourist traps” where someone will offer you a tour every 5 minutes, then head to the opposite side of the island (Laem Tong), where pricier accommodation options serve as base to more peaceful holidays. 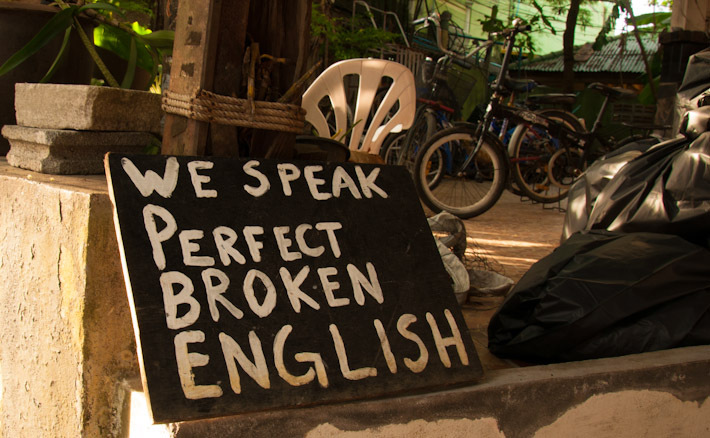 This is a major point of criticism when it comes to Ko Phi Phi. Things are certainly more expensive than in mainland Thailand but one must keep in mind that this is an island and goods have to be brought in everyday by boat from the mainland or Phuket (this is at least 2 hours boat ride away). 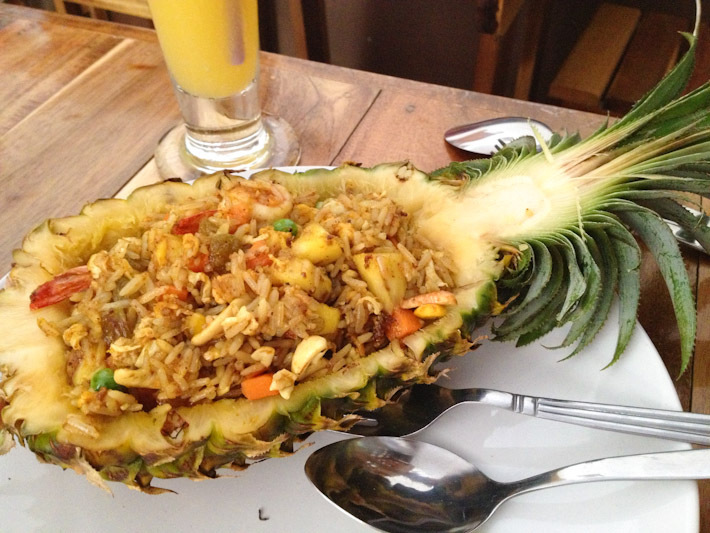 Pineapple fried rice enjoyed in paradise for around $4 – not THAT bad!.. 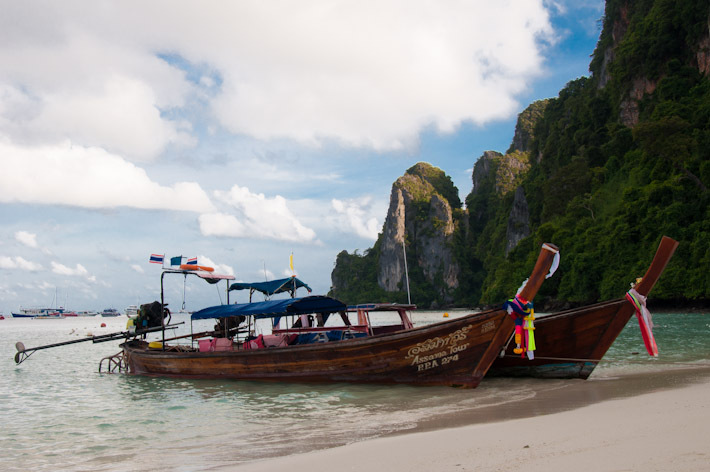 The economy of Ko Phi Phi is based on tourism, therefore, prices are also “touristic”. Still, they are not ridiculously expensive considering you are in tropical island in the middle of the Indian Ocean. Because that in itself is a luxury hard to put a price on! 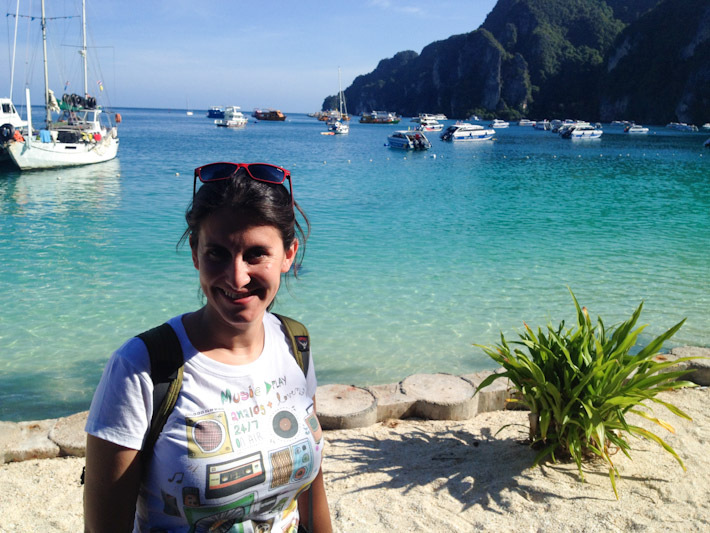 Yes, Ko Phi Phi is undoubtedly touristic! 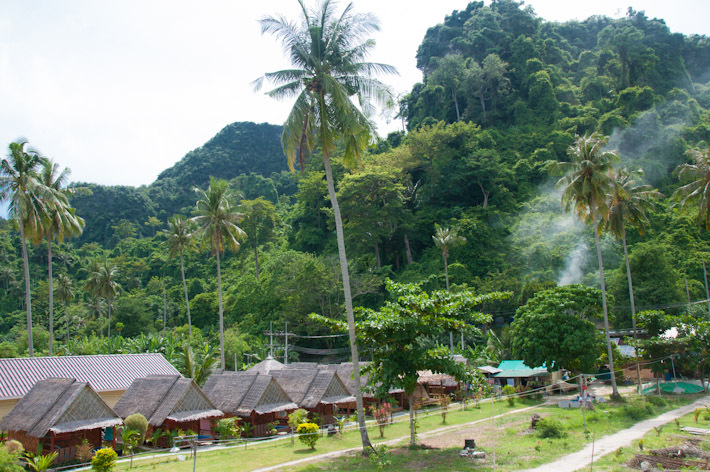 Before the over-development that Ko Phi Phi Don has suffered in recent years, bamboo huts used to be the most popular form of lodging. Now-a-days things have changed and there are accommodations of all ranges, from budget rooms that you can even negotiate on the spot, Airbnb rentals, to medium and higher end hotels that are best booked in advanced. Keep in mind that high season means higher prices when it comes to lodging and, often, lack of availability on a short notice. No wonder you see that much construction going on: the demand for over-night stays is ever growing. Some say Ko Phi Phi is purely touristic and there is nothing particularly Thai around here. Well, this is still Thailand, so that couldn’t be completely true. For starters, there’s the Thai people you can always chat with – this being a touristic place, their level of English is good and makes communication easy. But truth be told, they are not the most chatty and kind that we’ve met in Thailand – I suppose this is a result of the high number of tourists visiting, even during low season. It felt almost as if some locals had a love/hate relationship with visitors. Apart from the local people, you can do non beach related things such as visiting a few small temples and mosques (the south of Thailand is prevalently Muslim), see cute kids coming out a school with the best views ever, roam around the village and observe the fishermen going about their business (you’d have to wake up early for this). There is also a food market right in the middle of town, with food stalls similar to those you’d find in any Thai city. 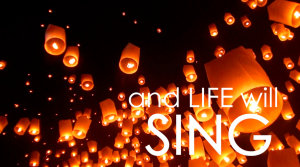 And you can always have a sneak peek of local people’s lives once you head towards the edge of town: this is where most permanent residents live and, as such, there is local life and Thai tradition all around. 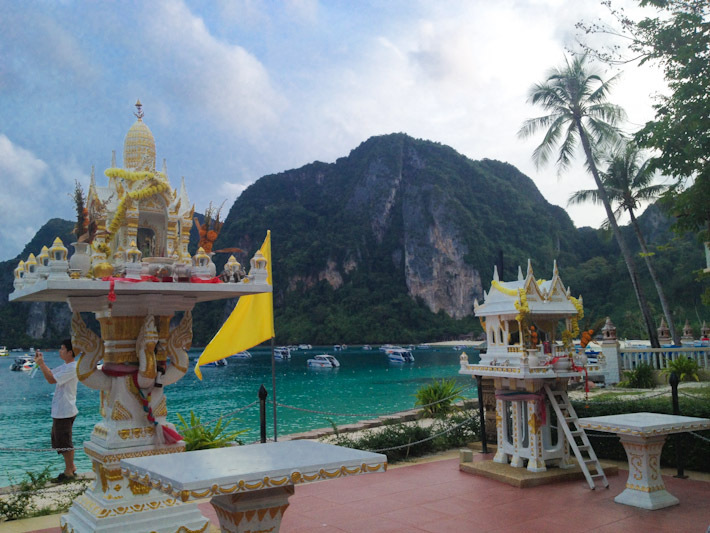 SO… IS KO PHI PHI WORTH IT? Oh yeah! Without a doubt! 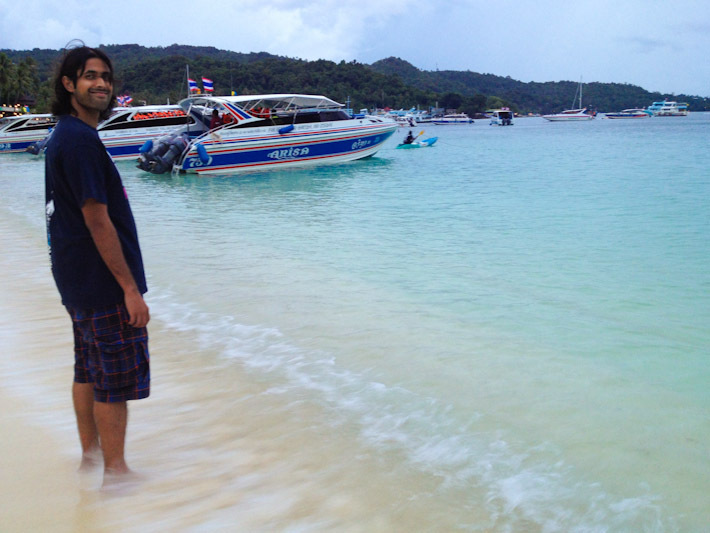 I’m glad you enjoyed your day trip to Phi Phi, Zaid! Independently of the fact that the islands are super touristic, there are indeed beautiful snorkeling and swimming opportunities all around! Things might have changed quit a lot since 08… Still, I find Ko Phi Phi to be a pretty sweet spot these days! And for those who don’t care for crowds, they can always go during low season, or right before high season when the weather is good but the major crowds haven’t arrived yet! I read that they do have a plan for protection of the island and the entire area, but that the plan is not necessarily being followed as it should due to governmental corruption and commercial interests. I hope they do manage to preserve Phi Phi, not in its very natural estate (it’s way beyond that already, of course..), but at least in a fairly sustainable way. It’ll probably keep on changing even more.. it’s difficult to find the right balance to preserve such an awesome place! How was the internet access though? I would not expect a lot from an island, but it is always good to get a reference. 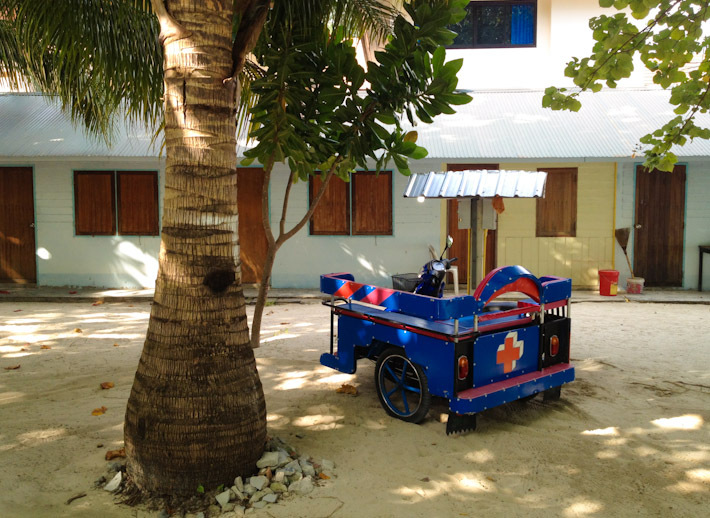 It was actually not bad at all – surprisingly for an island! WIFI in the hotel we stayed at was not steady all the time, but pretty decent overall.. and we could use the 3G on the phone too! Great article! I’ve been thinking about doing my Divemaster in Koh Phi Phi this summer but was wary because of the huge amount of mixed reviews. This has certainly helped! 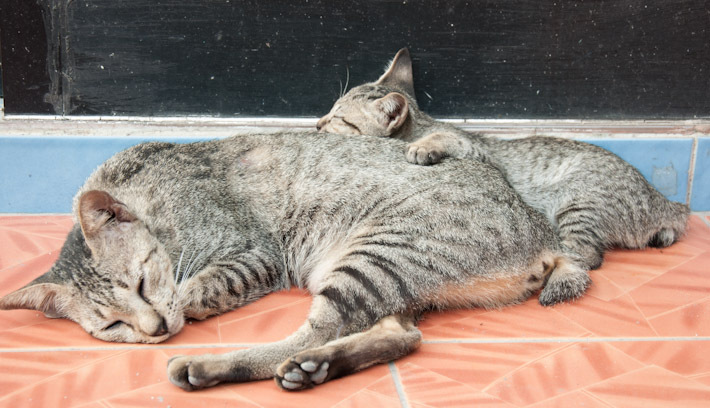 I’m really glad you’ve written about the good aspects of Koh Phi Phi Don! I didn’t spend much time on Phi Phi Don itself but I loved Phi Phi Leh (I had a great tour guide who got me everywhere before the crowds came). Everyone talks about how bad these islands have gotten but I had a great time so it pains me when I hear people say they’ve skipped the Phi Phis altogether because of bad reports. 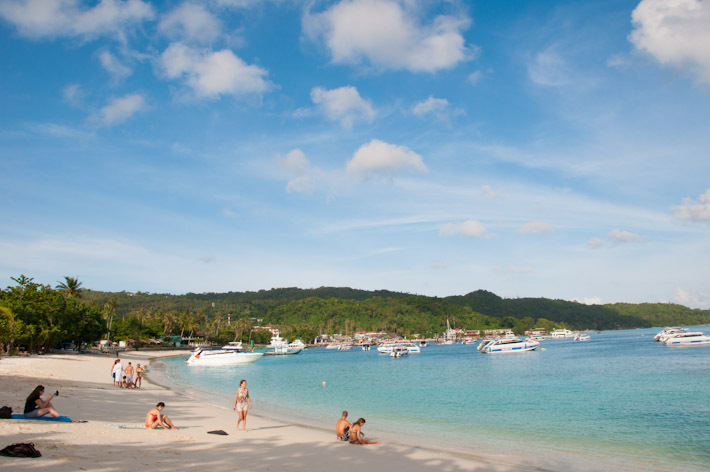 There are still a lot of good reasons to visit these islands. Maybe the island are not as idyllic as they once were.. But, if you ask me, they’re still damn beautiful!